Teasel passed over Rainbow Bridge on Monday 21st November 2017 at the grand age of 14 yrs 7 months. She was a great character who had a fiesty nature with other Dogs. The other side of her was a sweet, happy and playful dog and that was the Dog that Sue & Doug knew and loved. 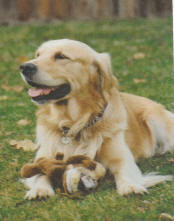 She loved to work and retired when she was 12, retrieve was her absolute favourite excercise. 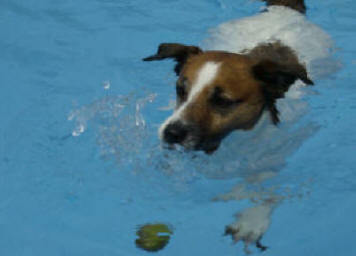 "Swimming to the rainbow bridge to meet Pepper and swim together again. After sixteen years he is sadly missed." Although four years have passed, Pepper is still greatly missed by Hilary, Tony and Biggsy. Max was the very loved and much missed companion of Judy Barnett. 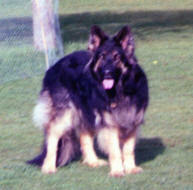 He was born on 22.6.98 and sadly died on 12.12.10. The fabulous family member of Phil & Sybil Lewis. Fen started life with a hole in her heart.